A GoPro action camera allows you to capture footage that your other cameras can’t. And with the right GoPro accessories, your films won’t just be incredible; they’ll be legendary. 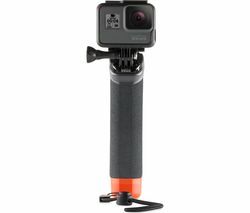 If you’re looking to take the most immersive point of view video of your mountain bike or skiing trip, you’ll need a GoPro camera and some useful GoPro accessories. 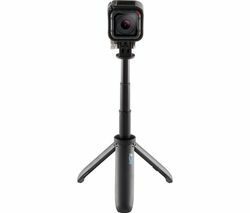 Take a look at what we’ve got, and you’ll find everything from spare chargers to secure head straps to ensure your GoPro is always up and running and in the best position to record whatever it is you’re doing. GoPro mounts secure your camera in place, so there’s no need to worry when tackling rough terrain. All our GoPro mounts are lightweight and versatile and will ensure your camera remains as steady as possible to record optimal visuals and audio. If you have a Polaroid camera and you’re looking to maximise your experience, check out our selection of Polaroid accessories. 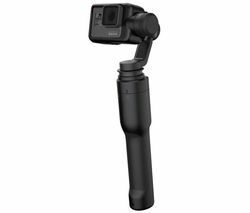 And if you have a Sony action camera, be sure to take a look at all our Sony Camcorder accessories. 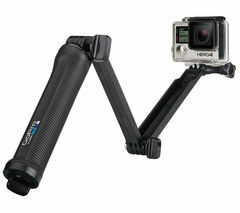 GoPro accessories are the ideal way to get the most out of your camera and ensure you never miss any of the action.